Could the MemoryStick become relevant again? 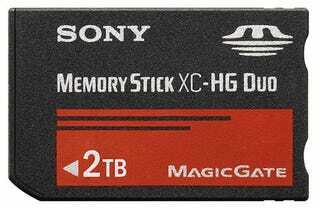 While Toshiba readies its 64GB SDXC cards, Sony is prepping its very likely backwards-compatible 2TB Memory Stick XC. The implications for devices like netbooks and SSDs could be huge.